Will you believe if I say that I make atleast once in three weeks? I have tried making it in different methods even when I did not get Samba Wheat. I have used some other wheat variety. Tirunelveli is a southern district of Tamilnadu and the name 'Tirunelveli' reminds anyone of it's very own super famous delicious sweet 'Halwa'. This is a Rajasthani Sweet which has made a great hit in Tamiladu. The Perennial river Tamirabarani that flows across the city, imparts a special taste to the Halwa. As the name says, the river water is rich in Copper (Copper is Tamiram in Tamizh ) and the copper content should be the secret invisible ingredient for the yummylicious Halwa, I believe. You can find so many Halwa shops being lined up throughout the East car street of the Halwa City. However, the 'Irutu Kadai' (meaning the dark shop) has a special place in the hearts of localities and the people everywhere. The Irutu Kadai opens at 5 and closes at 7:30 every evening. Every Halwa Shops down the lane has its unique taste which only the localites could easily find. Halwa is so staple for the Tirunelvelians. No one can refuse if I say that Halwa is a part of their daily diet too :) ;). The one that you see here, is the easiest and a fool proof recipe of Wheat halwa. I would recommend this method. Please scroll down to have look at the variations that can be made to the Halwa. 1. Wash and soak Samba Whole wheat berries overnight or minimum 8 to 10 hours. 2. Drain water from the soaked wheat berries. Grind the wheat berries with 1 unit of water, first. 3. Extract milk from the berries using a strainer. 4. Add 1/2 unit of water and grind it again and strain milk from it. 5. On a low flame burner, add 1 unit of water. Add 3 units of Sugar. (I have used organic unrefined brown Sugarcane Sugar). 6. Allow it to boil till the sugar completely dissolves. 7. Give a nice stir to the milk, to avoid the milk getting settled at the bottom of the vessel. 8. Add the milk slowly to the pan while stirring the sugar with another hand. 9. Once the milk starts to thicken, add ghee little by little at regular intervals. Whenever, the ghee is not seen on the halwa, add little ghee to it. 10. Around 30 - 35 minutes from the time of adding wheat milk, the halwa will start to thicken and moves along with the laddle when you stir. 11. To be precise, around 38 to 40 minutes, you would find the Halwa rolling up and the ghee that was poured in is oozing out. The Halwa is completely cooked. You could now turn off the stove and allow the halwa to cool down. 12. Serve the Halwa in plantain leaf. The smell of halwa and the fresh banana leaf together smells so heavenly. True bliss. I have used 1/2 cup of wheat berries, 1.5 cups of sugar and 1 cup of ghee which yielded 740 grams of Halwa. 1/2 cup is 120 ml. 1. White sugar can also be used. To get the dark golden brownish color to the halwa, sugar caramelisation has to be done. (i) Add 2 to 3 tablespoons of sugar and a tablespoon of ghee in a dry pan. Let it boil for few minutes. The sugar first turns to a crystal and then dissolves. Watch for the color of the sugar till it turns brown. This process should 4 to 5 minutes. Add the caramelised sugar to the wheat milk and sugar content in the pan. 2. The ghee that oozes from the halwa can be separated and stored for later use. You can use that ghee while making Dosai. 3. Halwa tends to thicken over time. It can be reheated on a dosa pan or a skillet. The ghee will melt again and the halwa gets nice and soft. 4. Use only Samba variety Wheat. 1. There is another way that we make Halwa which involves making of sugar syrup to single consistency and then adding up wheat milk to it. However, I prefer the method (which you see in the video) as I find it easy and it tastes equally good. 2. The Wheat milk can be allowed to ferment for 8 hours or overnight. The halwa shops uses fermented milk, in their preparation. 4. Broken Wheat Rava is also used to make Halwa. I am yet to try it. I shall try and post it sometime later. 5. You can fry few cashew nuts in a spoonful of ghee and add it to the Halwa, before turning off the stove. You can never get wrong if you adhere to the instructions, here. Please write to me when you have tried and tasted it at home. Your feedback will make me happy. Awesome Recipe! 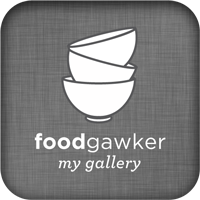 I love your site.. All recipes posted in your site are different and delicious. Keep going! My FAVOURITE Shanki -just looking at it brings back all the childhood memories. 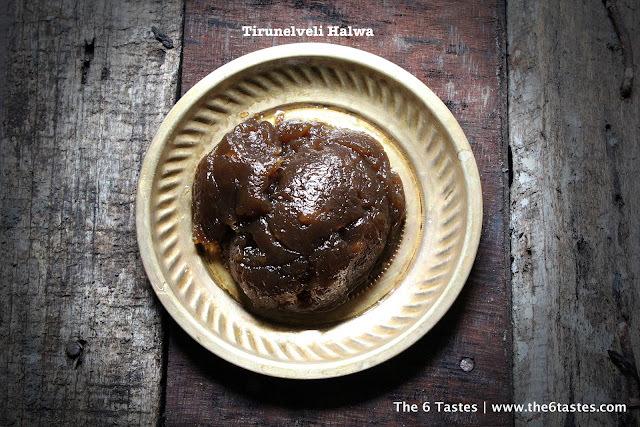 ur halwa looks exactly in the color of iruttukadai halwa.. this stirs my childhood memories.. we used to buy dresses from rmkv, visit temple and stand in a queue for this halwa.. tat too served hot on a banana leaf..
soon share ur karupatti halwa recipe.. i'm waiting for it.. The 6 Tastes. Powered by Blogger.